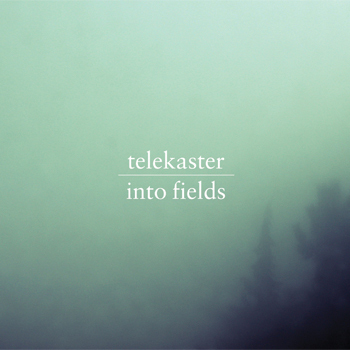 Telekaster’s long awaited vinyl follow-up to The Silent Anagram finally arrives and sees an amazing development of sound. Matthias Grübel’s collaboration with film maker Stefan Bünnig gives some explanation to the more intimate and sublime new sound he’s put together. Versions Of Home blends rich instrumental elements, treated guitars, manipulated piano and transformed electronics to create an incredibly deep, gentle and fragile tale of hazy loveliness. Oh yes. With the suspenseful In Our Dreams We’re Always Running On Ice he builds on the ideas of the first track with organic detailing and a wonderfully attuned sense of arrangement, making the piece seem blissfully effortless. Exquisite. Into Fields was written and recorded by Matthias Grübel in winter 2010/2011. Into Fields short film written and directed by Stefan Bünnig in spring 2011. 7″ cover image shot by Christopher Grübel. Sleeve layout by Sebastian Haslauer.